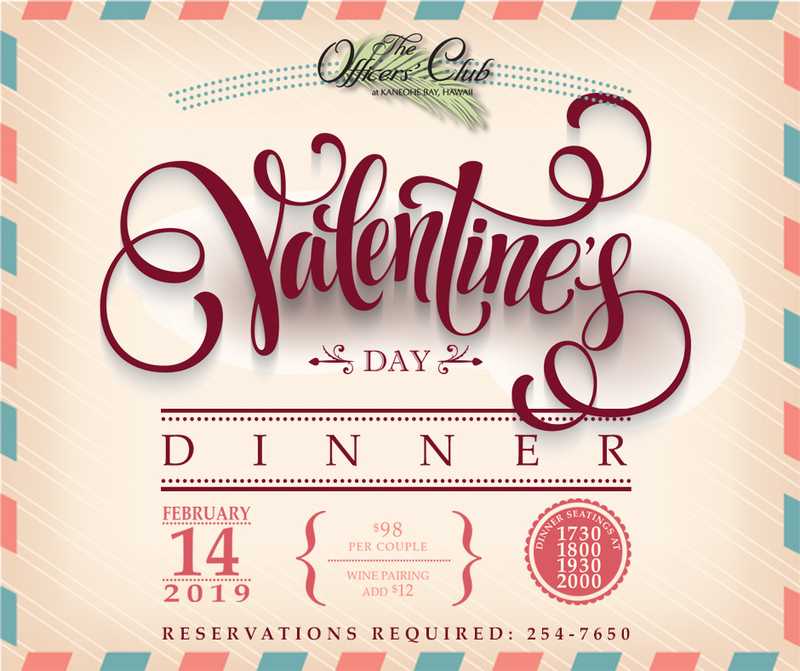 Join us for a Valentine’s Dinner. Seating times are at 1730, 1800, 1930, and 2000. Reservations are required. Call 254-7650 to make your reservation. Click this image to see the full menu and details.